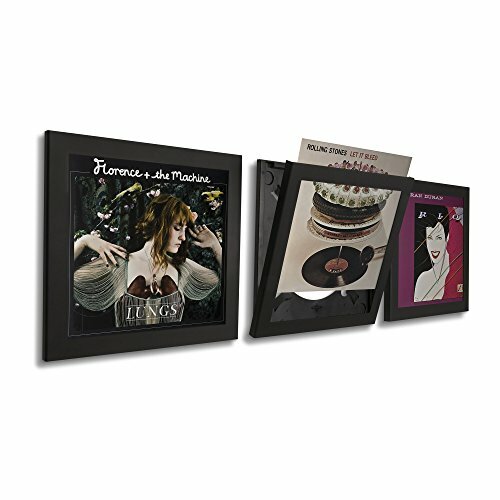 Display your favorite LP's in a simple-to-change frame, designed specifically for album covers. 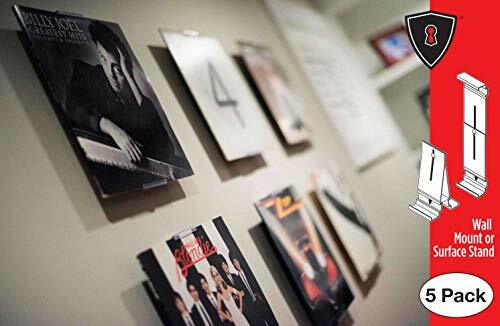 The Play & Display Mount is the first ever mounting system that allows music lovers to display album artwork and easily change the contents, or play the records, without having to remove the frame from the wall. With its instant quick-release mechanism, music aficionados can play their favorite albums in a matter of seconds and display them back on the wall just as easily. We understand that no two records are alike; with this in mind our Record Frames are specially designed and manufactured to compensate for differences in the thickness of 12″ records when displayed in the frame. 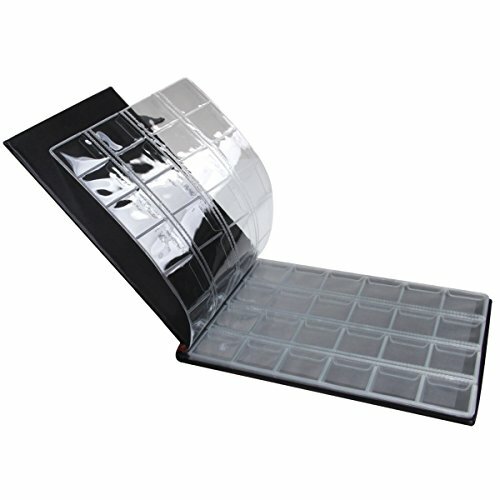 A unique cushioning "sponge finger" back plate enables you to display various sized albums, from singles, full LP's, double or even triple albums. The UV protected crystal clear front window brings out every detail of your favorite album artwork, while protecting your precious vinyl from sunlight. Your taste in music helps define who you are and so should your home. Personalize your space to create a wall display that's as unique as you are or give the perfect gift to music lovers and record collectors. 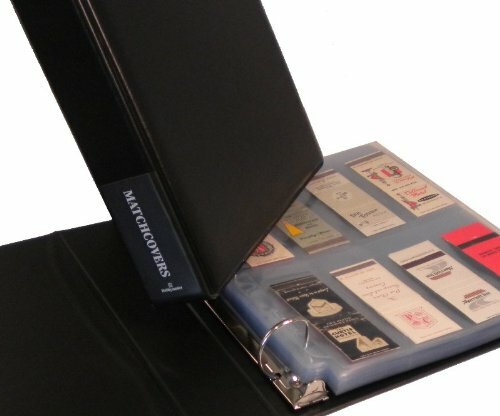 This Hobbymaster "Classic" Matchcover Album includes E-Z IN plastic pages to attractively display and protect your collection. It holds up to 400 matchcovers. Includes 25 pages in 3 sizes to hold almost any matchcover--20-strike (13 pages), 30-strike (9 pages) and 40-strike (3 pages). Insert one cover per pocket to see both sides, or two covers per pocket, back to back, for maximum capacity. You can add more pages, too--up to about 60 pages to hold over 750 covers. The album cover is richly padded leatherette. The pages are archival safe with no acid, vinyl or PVC to damage your covers, and the U-V barrier helps prevent fading. The binder is a trim 2½" thick with a clean, attractive look, and pages turn smoothly on D-rings. You can customize the cover for your special collecting category by slipping your own title card into the spine pocket. Instructions included. 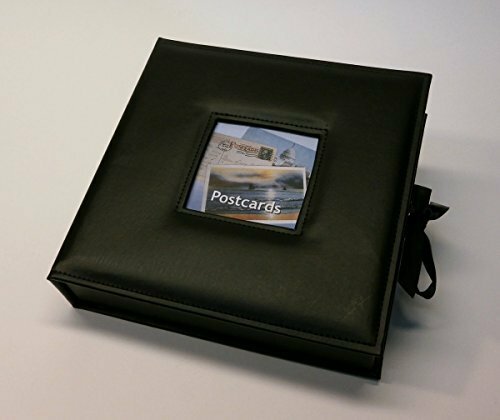 This attractive black stitched leatherette album is a beautiful and unique way to store, protect and display your favorite postcards. It offers superior protection for your collection. You'll be proud to show it off. The black page background makes your postcards look great. "D" rings let the pages turn smoothly and keep them neatly lined up. Note that only the front of your postcards are visible, and refill pages are not available. Postcards not included. Your record albums are part of who you are; some were the soundtrack of your first kiss, others helped you get over sorrow. Some helped you define who you are and others made you dream of who you want to be. Your vinyl records deserve to be shared and admired. Whether you want to display your favorite album on a shelf or your entire collection on a wall, our album mount can handle it. The transparent, unobtrusive design draws all attention on your albums making them seem like they float off the wall or hover over the shelf - a real conversation starter. Your friends and guests will love seeing your record collection and finding out more about who you are. You'll be making memories while sharing memories. 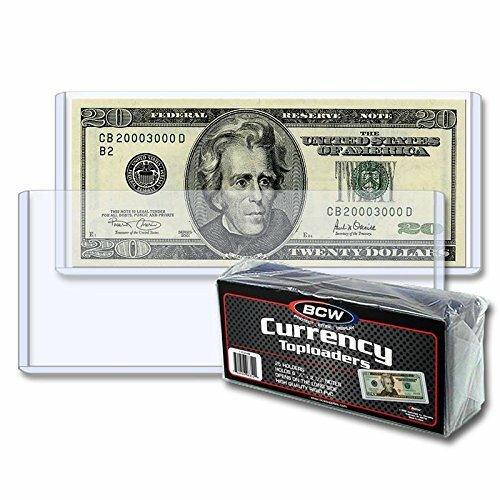 The BCW Currency Top load Holder is perfect for storing modern US currency. The PVC used in BCW Top loads contains no plasticizers or stearates. Our high-quality PVC does not migrate and will not harm your currency while offering maximum protection and visual appeal. 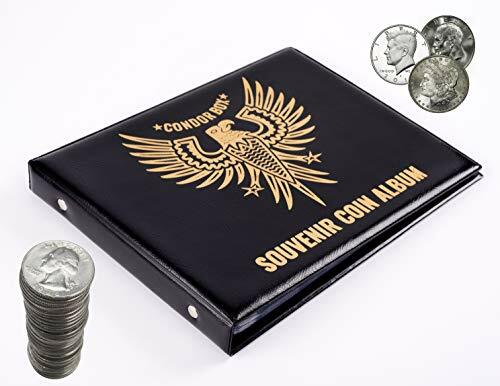 Use this holder to protect, store, and display your favorite bank notes. 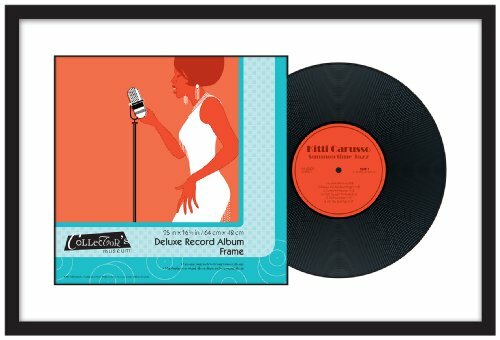 MCS Deluxe Record Album Frame displays both your album and its cover. The frame includes a double bevel mat, the top being white with black bottom to better highlight the display. The overall dimension of the frame is 25 by 16.5 inch and fits a standard record album and cover. Want more Collectors Display Album similar ideas? Try to explore these searches: Ipod Video Leather Case, Filter Media 50 Lb Bag, and Hd Web Studio.